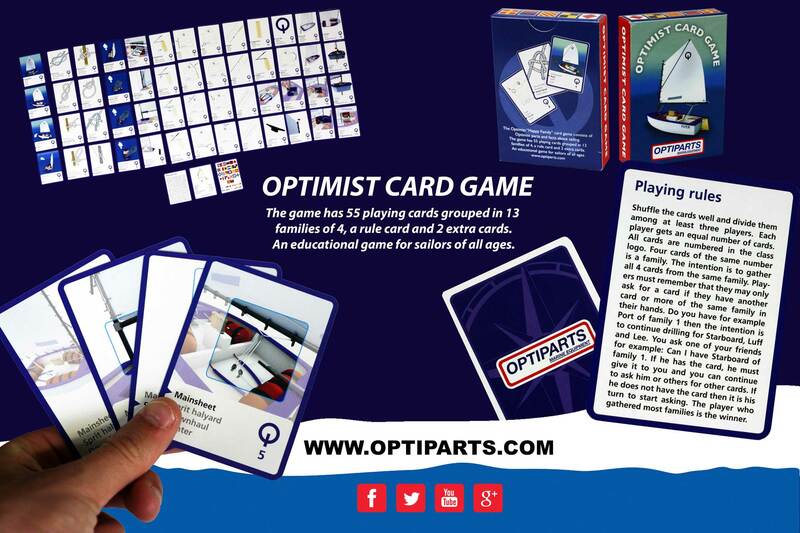 The Optimist Happy Family card game consists of Optimist parts and facts about sailing. 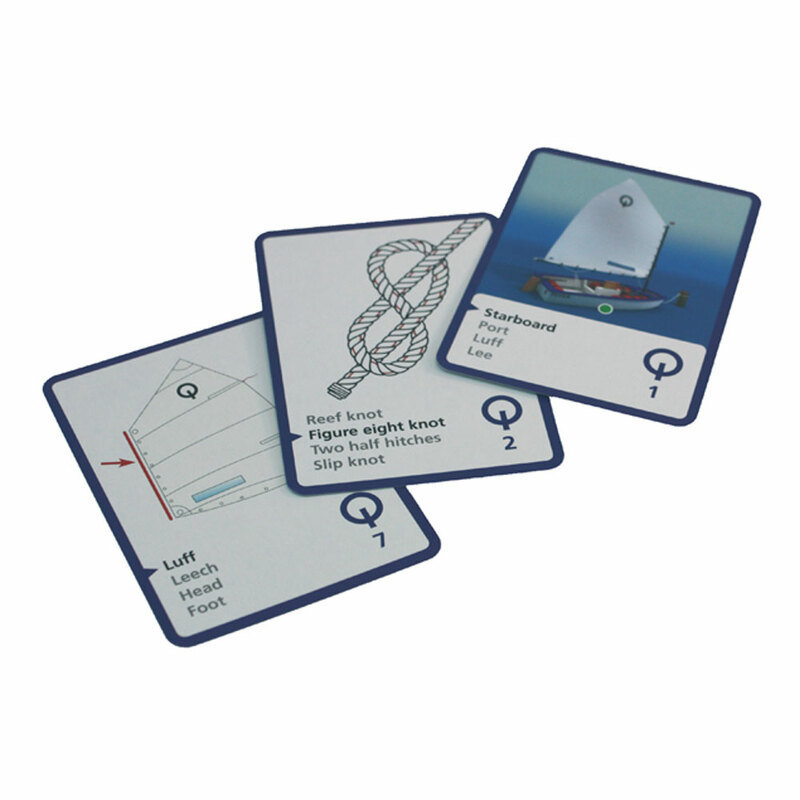 The game has 55 playing cards grouped in 13 families of 4, a rule card and 2 extra cards. 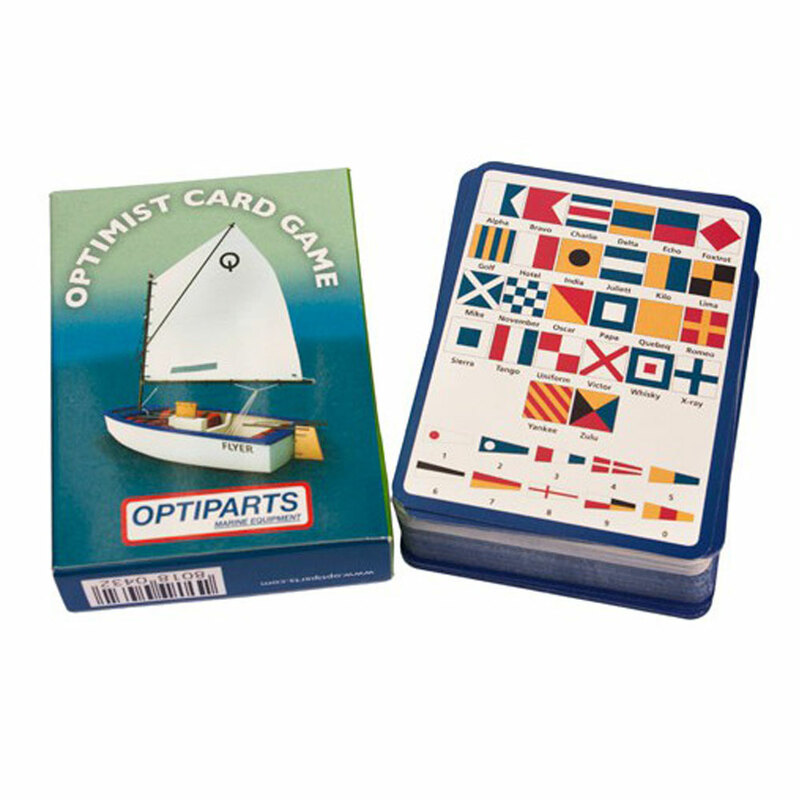 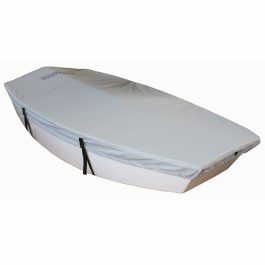 An educational game for sailors of all ages. 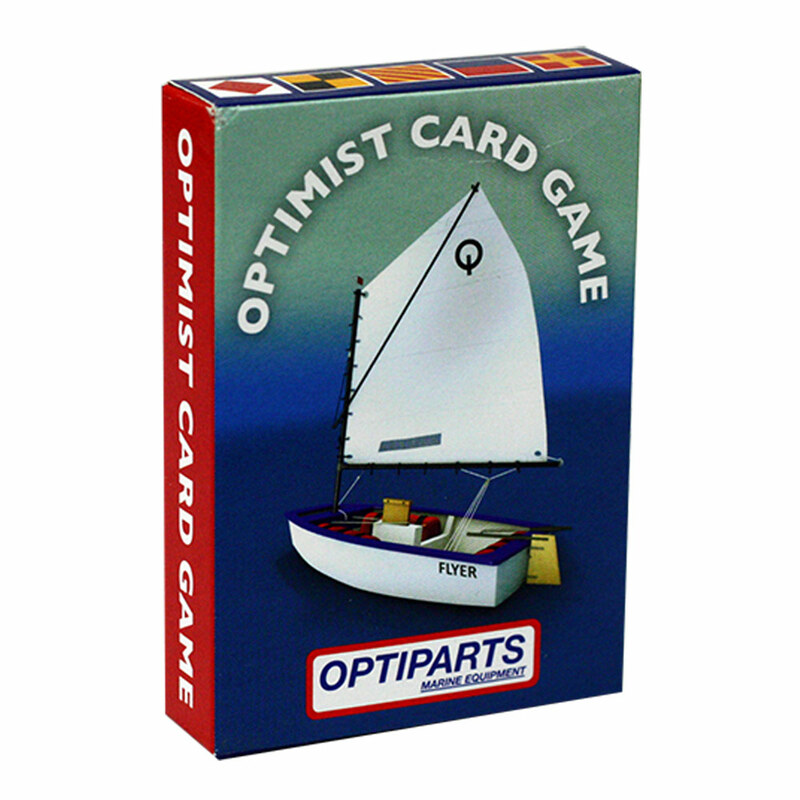 Sold in lots of 24 card games in a nice display box. 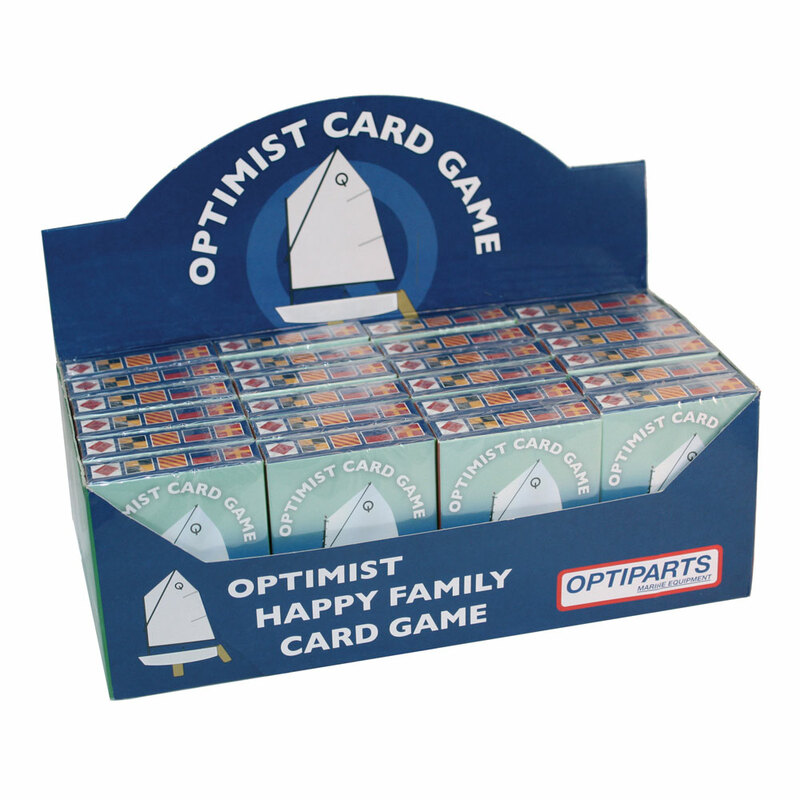 (display box 24 packs).